We live within minutes of history. The history of transportation in America. 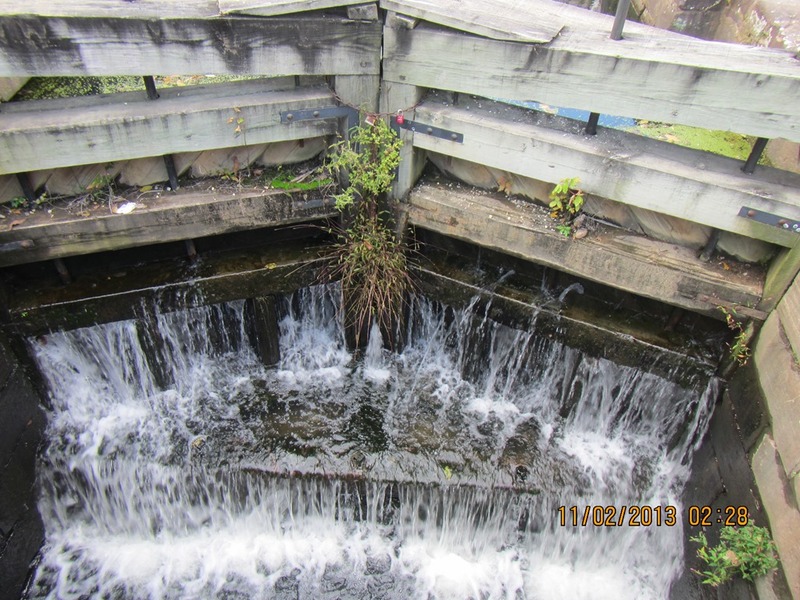 Next to the hard to navigate Potomac river sits a series of canals and locks known as the C&O canal.Many sections of the canal have been restored to their glory. It is a wonderful short trip for those staying in the Washington DC Area. You just, wait until the traffic subsides normally on a Saturday, or after 9 am on a weekday and head towards 270. As you cross the bridge into Maryland look to your left (if you are heading North of course from Virginia into Maryland, look right on the way back). There nestled in the small community of Cabin John Maryland is a section of the C&O canal. In fact, it is Dylan’s second favorite section. His favorite section to walk is a little further up river. There are more have that’s (as he calls rabbits, squirrels and other small game). The canal has bike/walking/running trails alongside on what used to be the mule trails years ago. On the Virginia side, near the Great Falls (a Virginia State Park and on the other side of the river also a Maryland State Park) there are dry sections that used to be Locks. So you can see how much rock they moved, by hand to make the canals originally. 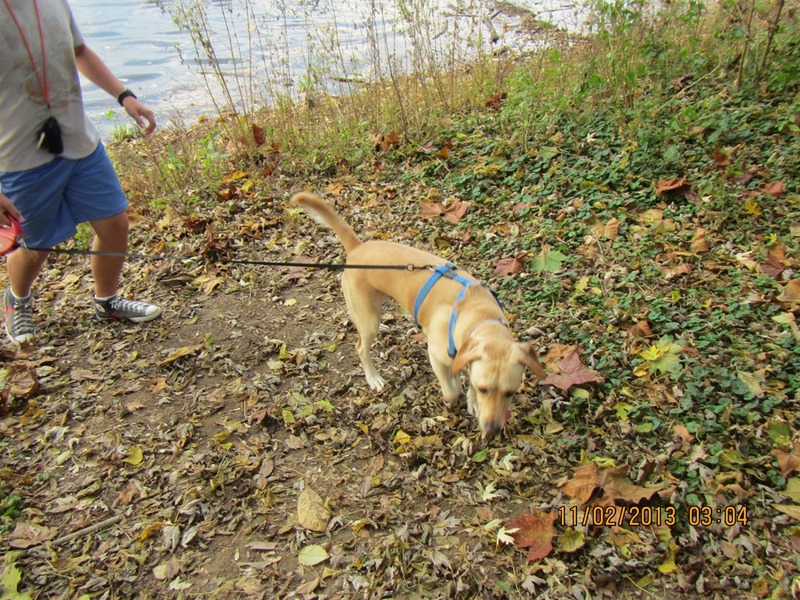 Dylan, seen there with one of his minions, rates the various C&O canal walks 4 sniffs out of 5. If you take him to his favorite walk he rates those 5 out of 5 sniffs. It has more to do with the wildlife he sees than the trail. Dylan loves walking so he doesn’t care where he is walking. Just that he gets to walk. The C&O canal wanders alongside the scenic Potomac River. All the way down to DC. In fact there are more than 30 miles of trails you can walk, ride or run along the canal. It amazes me every I go. To think that human beings dug the canal. Before the time of Alfred Nobel so for the most part human beings were digging, cutting and moving rock, dirt and debris by hand or with hand tools. The canal took many years to dig, but it is a significant moment in the history of the US. The Canal restoration group (an awesome group by the way) has restored several of the Lock Houses. Where the Lock Keeper (is that what they were called? Lock Master, Lock Keeper. Lockster, Lock alama ding dang?, The Lockinator?) stayed. 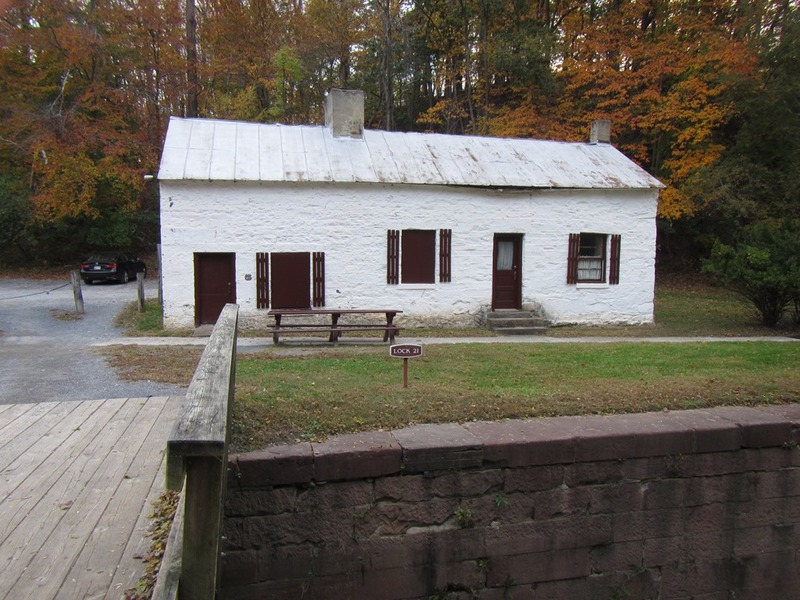 They have a revolutionary war period lock house and a Civil War period lock house. The last picture is of one of the restored Lock Houses. In front is the Lock. Invested to allow the canal to go down a hill smoothly. The Potomac river particularity in the section where the Falls of Virginia State Park (and the Falls of Maryland State Park) are located drops rapidly. The locks allowed the barges to smoothly transition from higher ground to lower ground and vice versa. Versus watching Kayakers try to stay even with the water in the falls. It is great exercise I am quite certain. It is also a lot of work. There are restored sections of the canal near the DC area (where we live) and then heading all the way up I-270 (and then I-70) to Frederick Maryland and Hagerstown Maryland. Moving past Cabin John all Maryland and all the way South to DC. We’ve walked quite a few segments, Dylan and I. He more interested me the number of wild animals (or as he more commonly refers to them, snack( and me marveling at the beauty, and the amazing work done by the builders of the canal. Overall, it is a short ride from DC that takes you back in time, and out into nature away from the crowds of DC. Wander Indiana Project (Wander Maryland as well). Nestled in the hills (and valleys) of southern Indiana is a small town called Nashville Indiana. There is, like the much larger Nashville in Tennessee an Opry house, but it is as would be expected much smaller than the one in Nashville Tennessee. Near Nashville Indiana is a wonderful state park to wander, visit and enjoy. First of note, there remains a stand of virgin timber. Timber that has never been cut or removed by humans. Other than the occasion tree that falls and requires removal. The trees are original forest from 100’s of years ago. The park has a couple of lakes stocked with fish and lots of trails. We would take the kids there, a quick drive from Indianapolis (a little over 55 minutes). The park has a large deer population so at dusk as you drive through the park you will get to see a lot of deer. 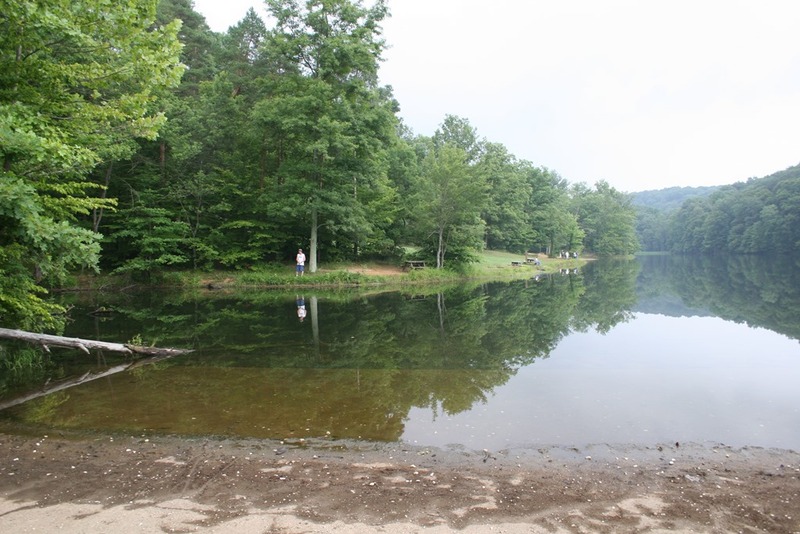 There is a wonderful primitive camping area and a pool near the entrance of the Park closest to Nashville the city. The roads are nicely paved, but there aren’t many roads overall, so you can still get away from humanity and enjoy nature. 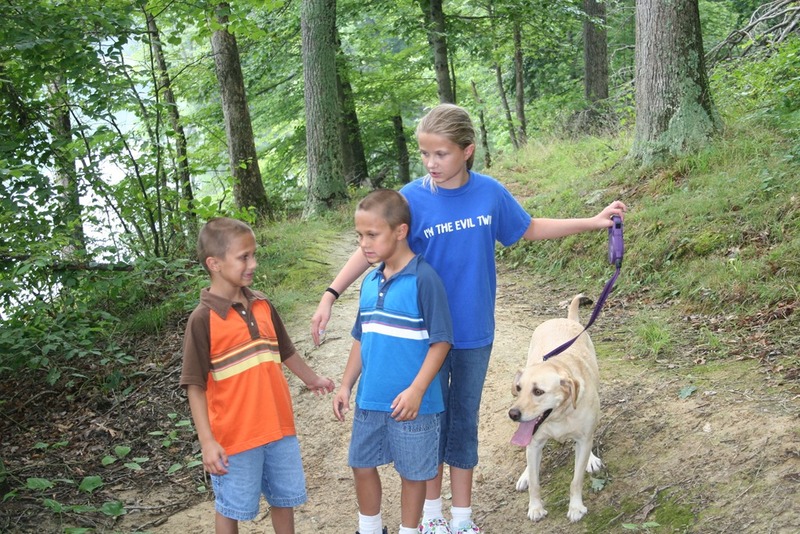 Here are the kids on one of the trails with Fran. Fran hurt her ACL fairly early in life so strenuous trails were out of the question. They do have long and short rails. Dogs are welcomed on many trails. There are also horse trails and a horse stable at one end of the park. You can bring your horses or you can ride the parks horses on the many horse trails of the park. There are also wonderful bike trails that wind through the park. You can bike quite a bit of the park on nicely paved bike only trails. The roads are pretty narrow all told (barely big enough for two cars) so biking on the actual roads is less optimal than normally. Plus the roads weren’t cut for human use, they were cut to preserve nature. So they wind in and out of the trees and up and down the many hills of Brown County Indiana. There is also, a place I’ve visited many times, a nature exhibit. The flora and fauna of Indiana. The nature center also does interactive sessions all around the park. The park also has an old fire tower that has been restored and you can climb up and see a great distance. It (the fire tower) sits on top of the hill that is nearly the center of the park. You can climb the stairs (it is roughly 10 full flight of stairs) and be above the trees. Although for a long distance all you will see is trees! In the fall as the leaves change color the park is full of people. There are also sections or vista’s (not the Microsoft computer software so no bugs) cut along the roadway. Some are amazing photo spots that you can stop and take a picture of the fall foliage. Some are great picnic spots as well so you can picnic and enjoy the brisk fall air, and the amazing fall foliage of southern Indiana. 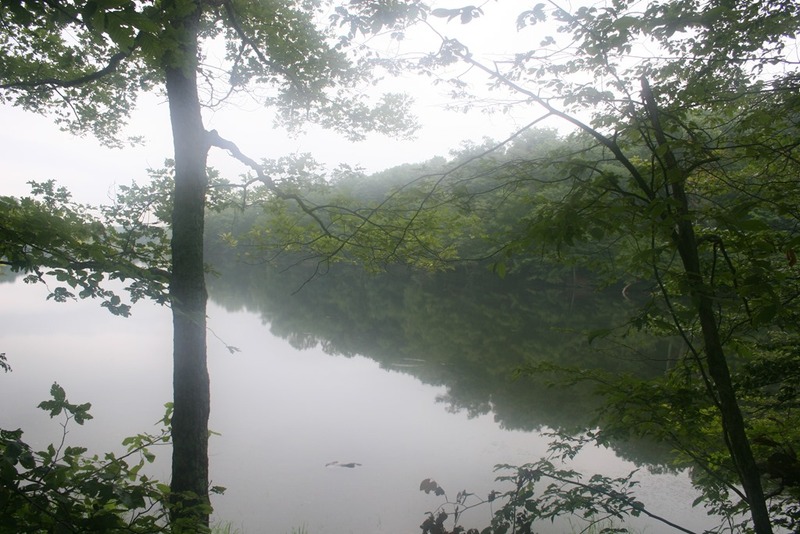 If you are ever in the mood to see a place that has some untouched forest and a very interesting quaint little town Nashville Indiana and Brown county State Park are something to add to your list. This is not a fly in, fly out type stop. You will have to drive a bit to get here, but when you do arrive you will find it is worth the visit! 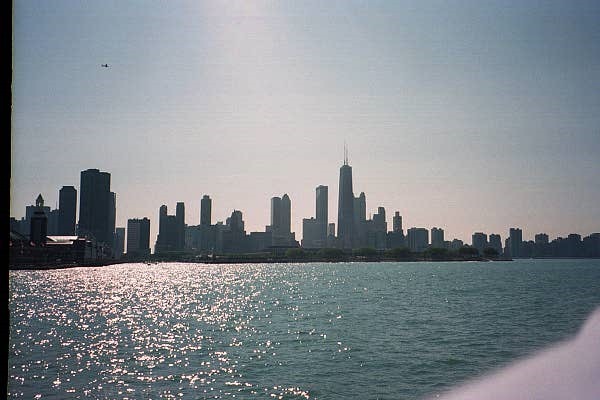 I was born in the Chicago area and lived there until I was about 5 years old. I have many fond memories of the city. Plus, while my kids are not sports fans, I am. I am an avid Cubs, Blackhawks, Bulls and Bears fan! I think the kids favorite place in Chicago was Navy pier. 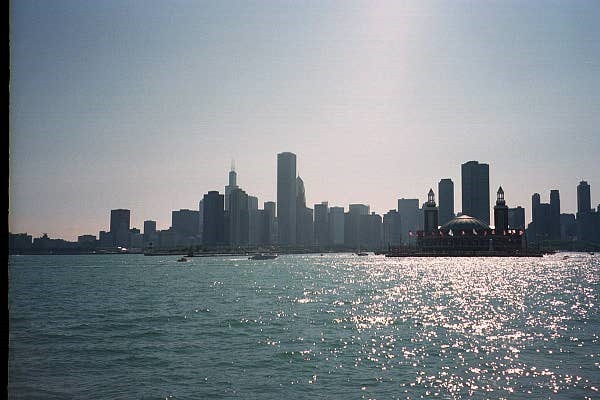 Navy pier is literally downtown Chicago and as it name suggests it is a pier that juts out into Lake Michigan. There you will find the Children’s Museum of Chicago. We spent a day there. It is nicer than the Children’s Museum in Cincinnati (well in fairness to Cincinnati it is nicer than that one was when we left in 1999.) The kids really enjoyed wandering up and down the pier, as well as playing in the water and enjoying the overall children’s museum experience. Navy Pier had been a carrier landing practice site for training WWII pilots. Its most famous pilot was future preside George Bush (former director of the CIA and Ronald Reagan’s Vice President). Today it is a commercial hub and even has a Bubba Gump Shrimp restaurant (from the movie Forrest Gump) on the end nearest shore. 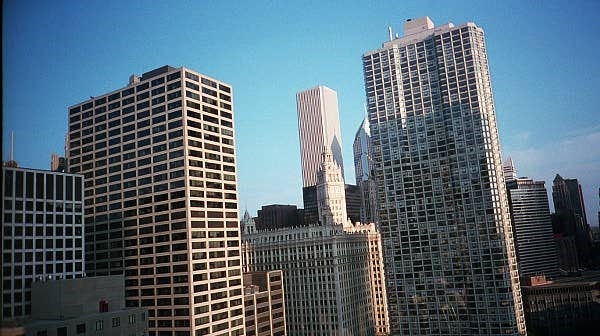 Chicago also has a wonderful shopping district called the Miracle Mile. Located just North of the State of Illinois building in downtown Chicago on Michigan Avenue, the Miracle Mile was a place we wandered up and down on this trip. The first stop was to stop at FAO Schwartz the toy store. Ma Bear and Honey Bear the boys two beloved stuffed animals had not been packed. So we ended up getting them each a stuffed animal there at the toy store. Just to make it through the couple of nights we were away from home and their bears. We also wandered up to the original American Girl Doll store. Jakki, at that time was a huge American girl doll fan. She loved the dolls, the stories and now she was getting to go to the store! The store is at the far end of the Miracle Mile. Near the water tower (again famous as one of the few buildings that survived the fire). Over the years we took a couple of trips to Chicago. It is one of my favorite US Cities! Wisconsin Dells Wisconsin, by the Wisconsin River. As a small child – probably from birth to around 5 years of age my father’s parents live in a resort town called Wisconsin Dells Wisconsin. Nestled along the Wisconsin River the “Dell’s” as it is called is a city built around the river, and around a couple of or more than a couple of amusement parks. This is the Roller Coaster from outside the park looking in at the Dells. 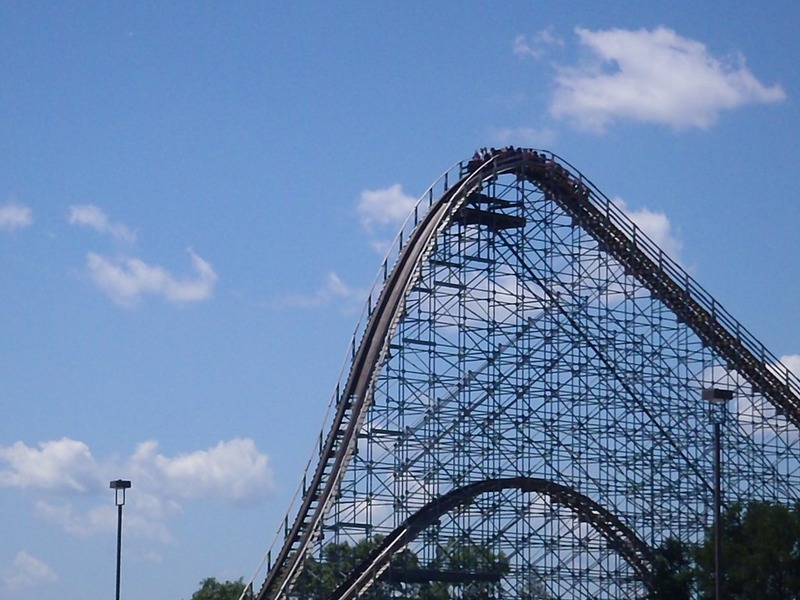 First off, it is a wooden roller coaster. Second off, my wife the normal victim of riding roller coasters with the boys was unable to join us on this vacation. So I had to ride the rattling, shaking roller coaster. 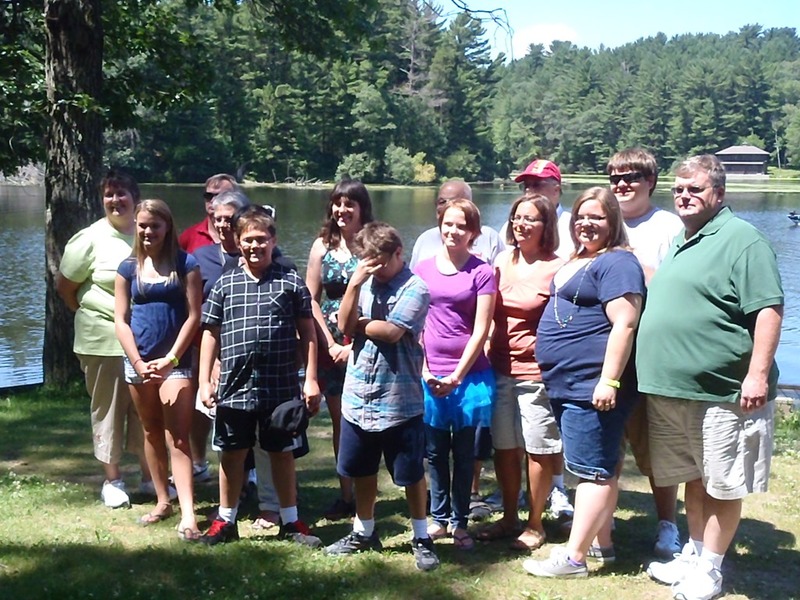 We took a family trip to the Dells in the summer of 2011 for a Johnston family reunion. My mother’s family being the Johnston family. My Uncle Keith, Aunt Barbara and their two children (my cousins Brad and Laura) along with our family (Mom, Dad, Lynne, Barb and me) all wandering up to the Dells to spend a day celebrating family and my Uncle’s birthday. I volunteered to take all the kids to the amusement park the first full day we were in the Dells. Barb (my wife not my aunt or my sister) had to stay back in Indiana for school. The whole clan at the reunion with the river in the background. We spent the reunion day at the state park near the Dells. Dad grew up in the Dells. Once upon a time he actually played the US Forest Service fire prevention character, dressed up as Smokey the Bear. The town that is the Dells is not the town dad grew up in. It has changed so much over the years. I remember one time, when I was little being in the dells and it was little more than one amusement park. one boardwalk and a single road. Now it is a growing little city with many things to do. The boys, Jakki and I played a really fun very difficult miniature golf course. We went to the many tourist shops (the kids wanted to get couriers). We also spent the day as stated at the amusement park. My fondest memory of the Dells from my childhood was riding the river cruise. The kids really weren’t into that idea, so we spent the day at the amusement park. Luke wanted to ride all the roller coasters so we did. Nick wanted to race the go-carts. For the first time ever Nick passed me in a go-cart. He, as he passed me on the uphill climb of the course shook his little fist at me. I almost caught him on the down hill run but not quite. So he ended up winning. I haven’t heard the end of that for the past 5 years. We were using the many scenes and fun capabilities of the Olympus TG-3 camera. If you need a camera that can be dropped, taken into the water or just a tough camera for action and adventure, I highly recommend the Olympus Tough series. This is the panorama view that the camera includes as one of the cense/tools you can use. The image is of people eating their lunch as part of the party/reunion. While in the waterpark Jakki used to camera. She has a passion for taking underwater pictures. This one was actually taken by either Courtney (my sister Barbara’s Daughter) or Megan (My sister Lynne’s daughter) as the three of them played in the water park. There was a time early on in their lives when both Courtney and Megan were terrified of me. They wouldn’t have anything to do with me. I miss those times sometimes . Now they just make faces at the camera when I have it in my hands to take pictures. 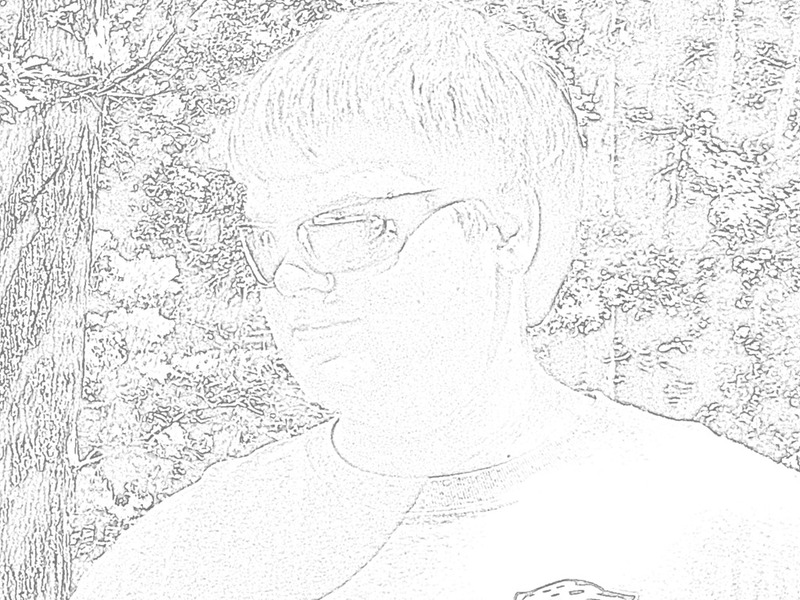 Another template picture (pencil) that the kids were using. The built in functionality and abilities of the camera make it worth carrying in your pocket. It is also very small and based on that easily used as a family event camera. The video capabilities are good. It is a point and shoot and of course you do have to carry a camera along with your cellular phone. It is however a camera you can hand to your children and not worry. If they drop it, or dunk it the cameras does’ care. I know, if I dropped my cellular phone or if I dunked my cellular phone without putting it into a waterproof case I would be in deep trouble. The TG series of cameras just keeps on rolling. As we wandered home from the Dells the kids were excited and also missing mom. So we piled into the mini-van for the 8 hour drive home. We did manage to stop at a cheese shop in Wisconsin and import good chase into Indiana! Olympus camera fan, Wisconsin Dells fan! 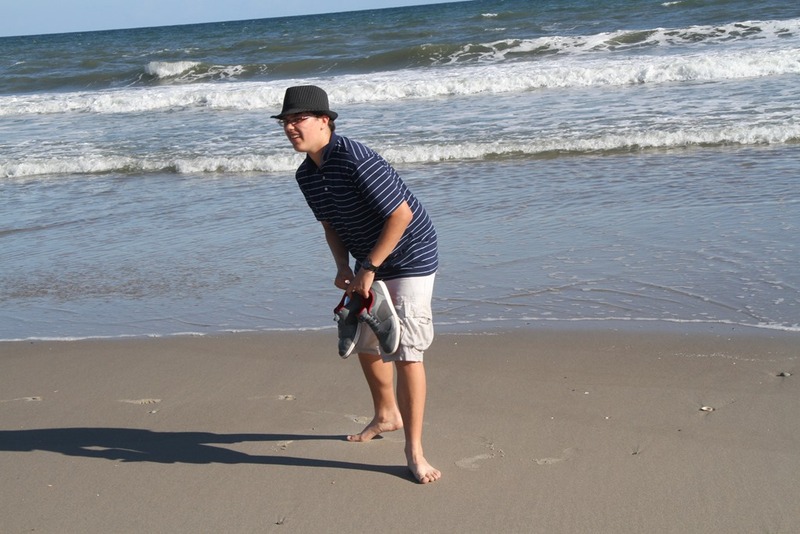 Our second trip to Oak Island a year after the first 2014. 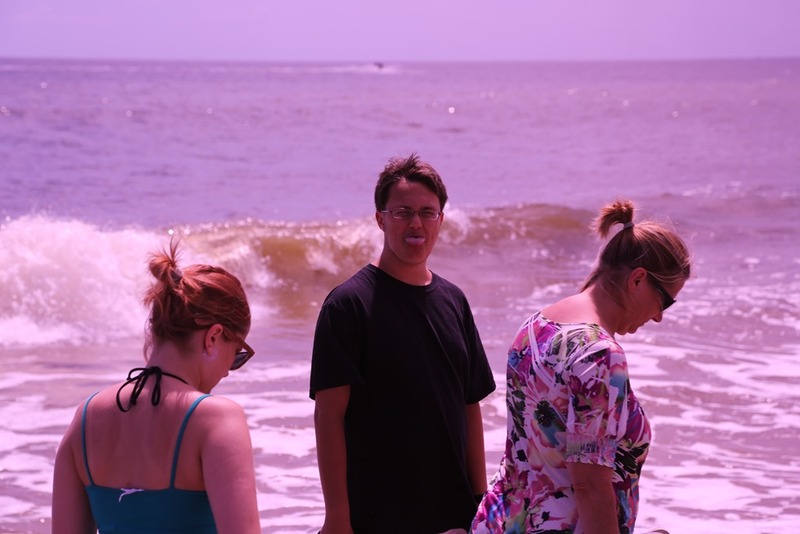 New camera, new filter, purple world taken on the northern beach of Oak Island North Carolina in 2014. Same vacation spot as the year before but this time just our smaller group rather than the whole family. You can see the many pictures taken with the delightful purple twinge. I can fix them and have fixed a few with editing software. But I thought I would share my learning about images, filters and digital cameras. Plus frankly it just looks kind of cool. This stretch of beach runs all the way from well North of the lighthouse to roughly where we were the year before with the entire family. 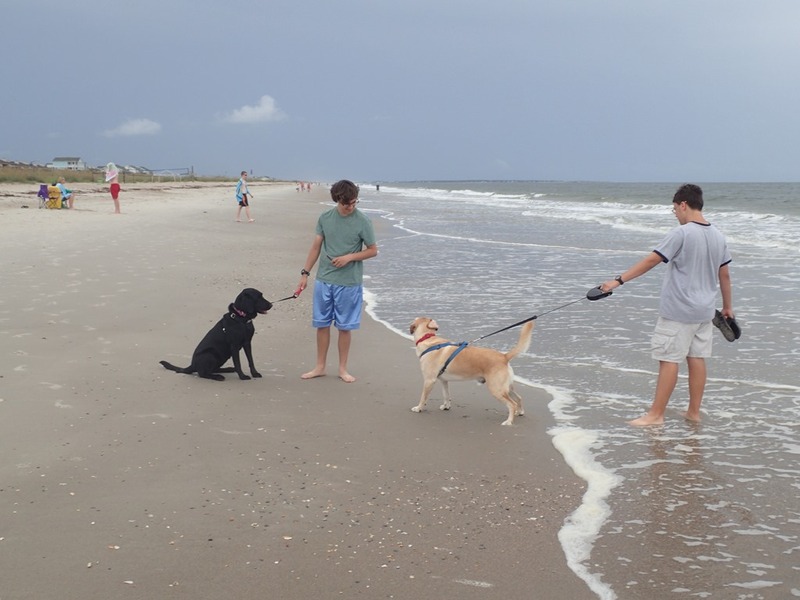 The beaches at Oak Island are dog friendly. A little too dog friendly in some cases. We were walking along following the rules of the beach (dog on leash) when two dogs bounded towards us. They were not on a leash and their owners strolled over to get them. We ended up holding on to those dogs and our dogs for dear life to avoid an issue. When the people finally sauntered up, they just took their dogs. No apology, no nothing just walked away. By this point Raven had lived with us for about 4 months. Fran Jakki’s beloved Lab had passed away in March and the first week of April Raven joined us. She and Dylan hit it off pretty quickly with only a couple of incidents. Raven had been abandoned for a time period Lab Rescue had told us. We don’t know how long. Lab Rescue had found her and then she found us. Something in her past made her initially scared of water so she wouldn’t go into the water at all. Her Nick and Luke are trying to coax her into the ocean. It took a a couple of days but she finally did go in. Then she loved it (now she goes into water quite happily). But that first time she wasn’t having any part of it. In fact she didn’t go in the water until both her boys went in. When Raven first joined us she picked the boys as her people. The connection was really fast and deep. Now she trains the boys, they would never admit it but she makes them do things her way a lot more than they admit. When they were both in the water, she went in to make sure they were safe. Then realized that it was a lot of fun. Dylan on the other hand has always loved water and walked right in. Lucas loves to jump over waves. 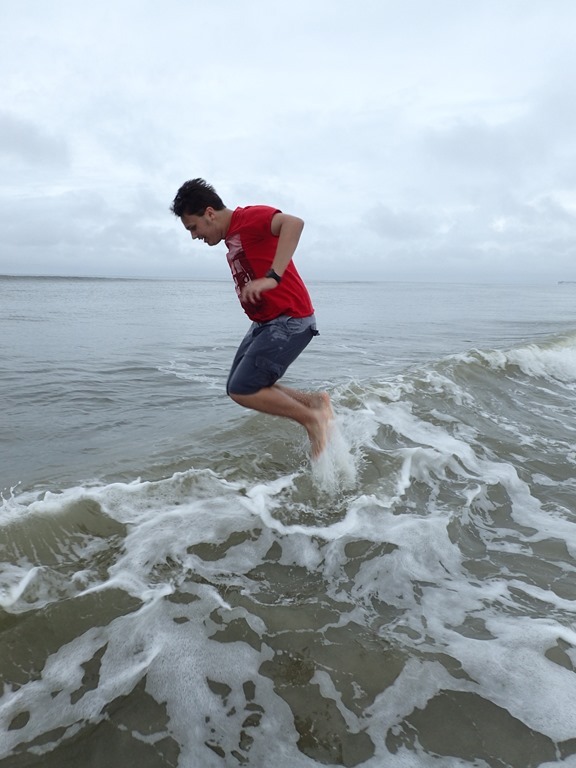 Ever since he was a little kid he has loved to jump over waves. Nick will join him, but Lucas always starts the process. These images taken with an Olympus TG-3 (year before the upgrade). No lens filter so no purple. 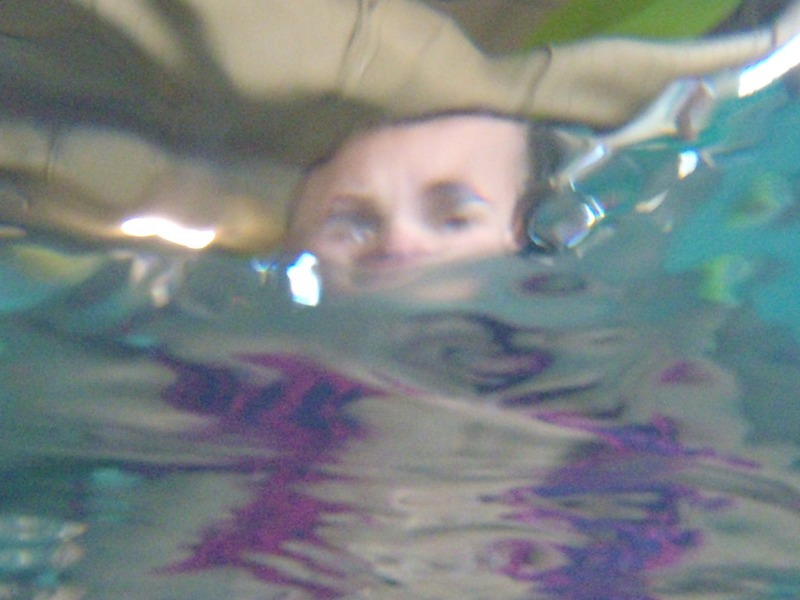 The advantage of having a camera that is water proof is you can get into the water and take pictures like this. It makes for a different experience overall with imaging. We wandered down past the house mom and dad had rented the year before late in the week we were there. Oak Island is a very neat little city in North Carolina. It had been devastated by a Hurricane in the 1960’s so most of the houses in the town were rebuilt after that storm. The city itself has a series of “commercial clusters” one of the other side of the intercostal (mainland) and one on the ocean side of the intercostal (where we were). The intercostal waterway extends the length of North Carolina. It is more swamp in many places, or tidal pool, than it is a massive body of water. The bridge that connects the mainland to the island takes you over the swamp part. Beach vacations, water vacations, boat vacations, just get me near the water! 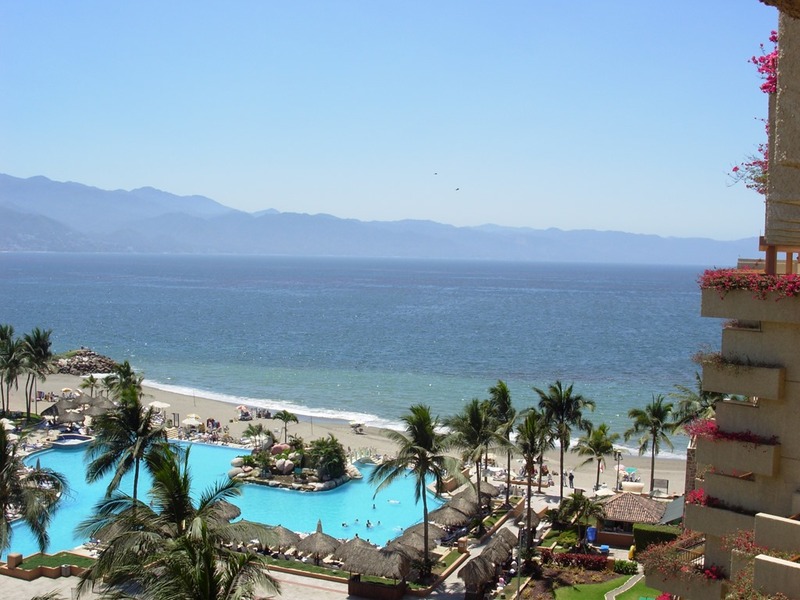 One week in Mexico–time to relax! During my traveling days I collected Marriott points and airline miles like crazy. So, we took wonderful nearly free vacations. For years our only vacation expense was food and entertainment while at the location. Airfare and hotel were either completely free or we were paying for a very small portion. So off to Puerto Vallarta we go! This from the window of our hotel room. We stayed at the Marriott resort right on the beach. White sands and blue oceans. The hotel was one of the nicest I’ve visited. The first thing we did after settling in was get out and wander the beach. Then we were off to the races. My plans were relaxing by the pool, reading and catching up on just being relaxed. Barb was going to hit the beach. The boys were going with Barb and Jakki was hanging out with me at the pool. On our first full day we went into the city of Puerto Vallarta and had lunch. There is nothing finer than having someone come right to your table and make Guacamole. Barb and I both love the stuff (and avocados). So were in heaven. The person stood there and made fresh guacamole and we greedily consumed it. Image is of to the right (with really long hair) Jakki. Then in the middle Nick and on the left Luke. 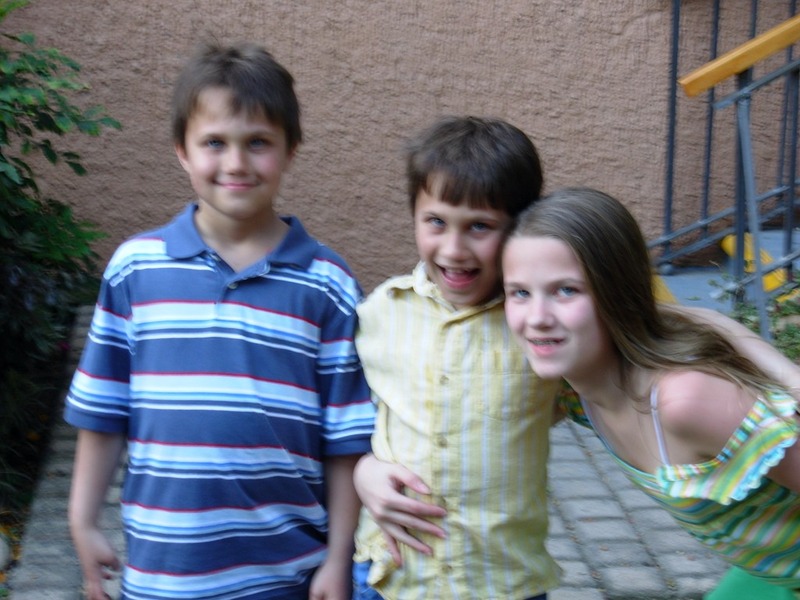 The boys in this picture are now both either nearly as tall as me, or taller. I think Luke is actually taller than me now. We really enjoyed walking around the quaint town. Yes it is designed for tourism but it was still a lot of fun. Vacation’s are about experiencing more of the world. But they are also about having a chance to just unwind. That was the goal of our trip for this vacation. Unwind. This vacation was in the beginning of my digital photography career so I didn’t take as many pictures as I have later on. This was was in the courtyard just outside the hotel. There was, attached to the hotel one of my kids favorite dining experiences. A Japanese steakhouse. They love the hibachi grill experience. Where your table is the stove and the person cooks in front of you. Our waiter was also very talented when it came to origami and made the kids little dragons out of small paper. They managed to make it all the way home (fragile) and were around for a couple of years after the vacation until they finally fell apart. The food at the restaurant was fantastic. The service was even better! It is hard to remember them at this size. Here together and not making faces at the camera. From the left its Luke, Nick then Jakki again. Just like the last picture but this time they were smiling. I don’t often get pictures like this anymore. One of them will make a face or all of them will make a face. The days of posing and smiling are now long gone. The hotel overlooked the Pacific Ocean and each night a pirate ship would head out into the water and fire off its canon. We enjoyed watching that at the end of each day. We also managed to squeeze in a run to a water park. The water park was amazing. The kids talk about that day still. We got to ride on the plunging water rides and swim around the lazy river. We also did the whole swim with the dolphin experience. Jakki really wanted to swim with the dolphins. It was something that was very important to her. The boys didn’t want to so I sat in the bleachers with them and we enjoyed watching the dolphins. Barb and Jakki swam with them and had a blast as well. 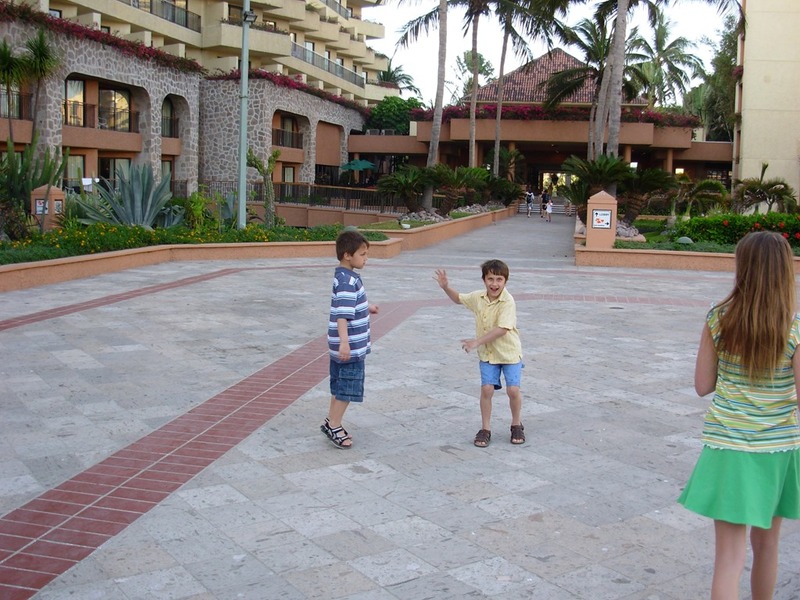 Like all vacations this one had to end but it remains one of our favorite memoires. The trip to Mexico! 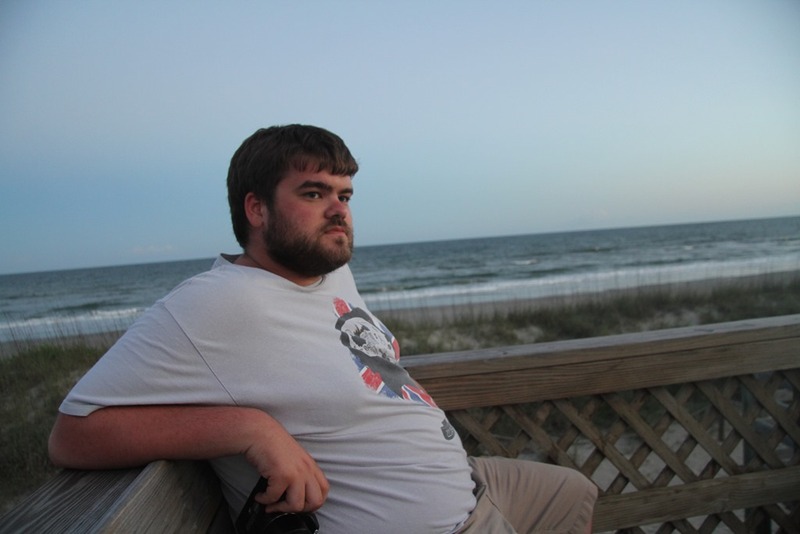 On the beach in Oak Island North Carolina 2013. Oak Island North Carolina. It is a wonderful place to visit. We’ve stayed on the North side of the Island and this first time we were on the South side. The beach is amazing. We walked up and down the beach several times. Beaches have personalities just like human beings do. Some are sporty and you find beach volleyball and people tossing Frisbees. This one, the beach near Oak Island is more relaxing. You find kids in the water swimming. The occasional person fishing, but for the most part people strolling up and down the beach just relaxing. All of us (the whole family) stayed in a beautiful older beach house. Lots of bedrooms and space. Beautiful deck to sit and watch the world go by. Lot’s of pictures of the ocean rolling in. We arrived late on the Friday (we worked until the afternoon that day) and drove the 9.5 hours after work. By the time we arrived at the house we were exhausted and so were the kids. It was kind of a chaotic start to the vacation. The person is Matthew Misner. My sister Lynne’s Son (or more plainly my nephew). A very impressive young man. Later in the vacation we would take pictures of each other taking pictures of the other. In this one the view behind him is amazing. So the picture turned out very nicely. There are moments that capture a vacation. This is one of those moments. Oak Island is an interesting place. Yes it is at times a little touristy but many places you go to on the East Coast of the US are that way. From Delaware all the way down to Florida (and up the rest of the way to Maine) there are many little beach towns. Each one has its type of beach (Sporty, fishing, relaxing and more). Miles and miles of beaches that reach out into the cold waters of the Atlantic and offer relief from the heat. Living on the East Coast you also know things, like which beaches have great White Sharks circling around offshore. They track and share that kind of information on the news. Great White Sharks found circling the beach at Martha’s Vineyard. That really doesn’t matter, they don’t come close to shore often. You are much more likely to be bitten by a stray dog than bitten by a Great White Shark. But the shark makes the news. Sitting and reading on the far left of the picture is my father. This was the last family vacation we took with him alive. He died a year after this picture (give or take a couple of days). It seems strange now, to look back at that vacation and realize that. Realize that this was the last time other than Christmas that year that we would all be together. Our last vacation with dad. I have struggled for two years to be able to write that. To be able to say without crying that I miss him. I do miss him. I miss the sense of humor. I miss the insight into the world. I miss the sound of his voice and his laughter. I carry his memory in my heart everyday. I see dad in his grandsons. More in Nick and Luke than I do in myself. But I see him there with them. Overtime the pain softens and the memories evolve. 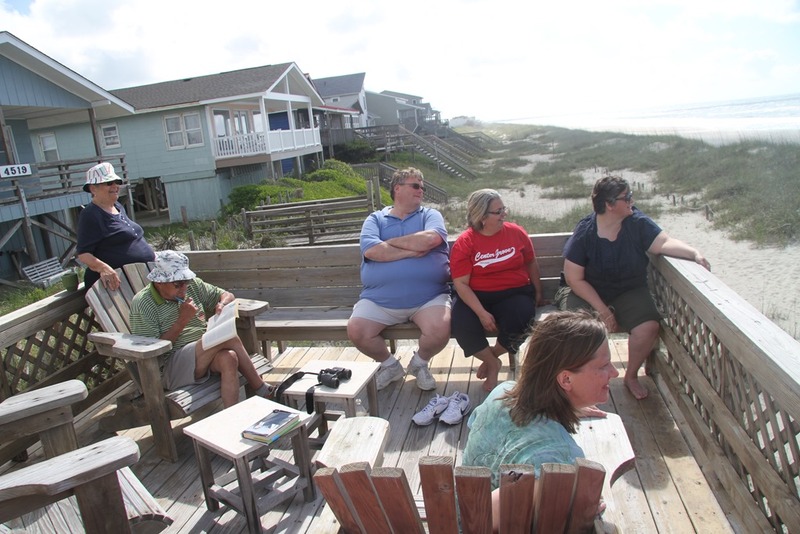 This moment, sitting there on a deck in North Carolina in June of 2013, all of us together for a time was magical. I added a couple of videos taken that weekend of the ocean. I love the restful sound of the surf. They are in our YouTube channel (the family history channel). Thanks for all the wonderful memories dad.